Gosu has a companion gem for examples (gosu/gosu-examples on GitHub). You can select examples from the right sidebar and jump straight into the source code by pressing S.
We recommend starting with the Ruby Tutorial on the wiki. For more documentation, check out the links in the sidebar. There are several libraries that can give your games extra superpowers. Some of these libraries have not been updated in a while, so watch out for open issues on their GitHub pages. 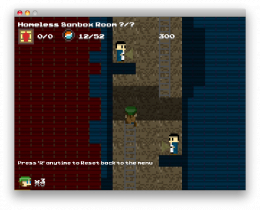 Automatically distribute any Ruby game as a Windows executable or Mac app. Built on top of the tools from the Deployment guides in the documentation wiki. A C extension that integrates GL shaders and a particle engine with Gosu. A comprehensive game framework based on Gosu (website). A Ruby wrapper for the popular Chipmunk physics library. There’s example code in the wiki. 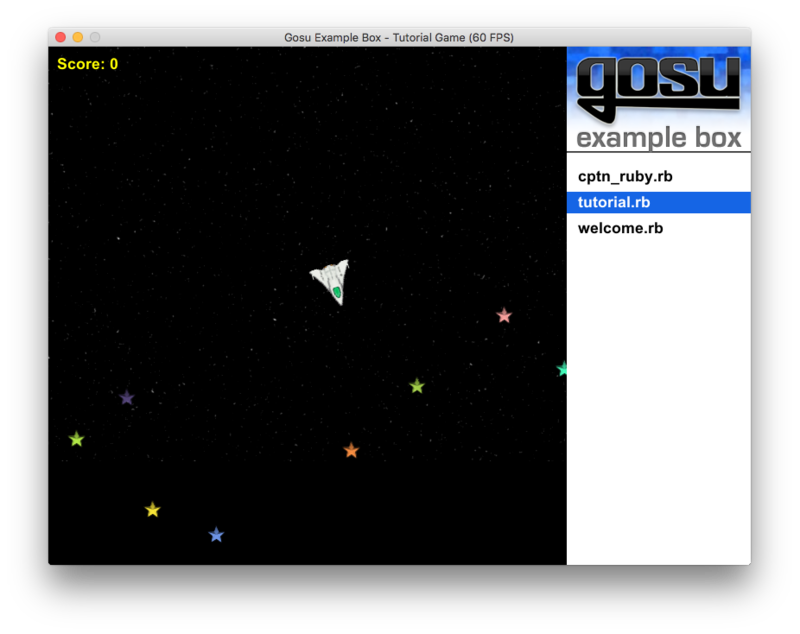 The standard Ruby OpenGL gem can be used with Gosu to add 3D effects. A powerful alternative to TexPlay, but very hard to distribute.